I’m still buzzing from the sixth annual industry-leading bookkeeping conference, Bookkeepcon, in Hamilton. What a fantastic conference! I’ve worked with a wonderful team over the years, having founded the association nearly nine years ago. I can only try and express how it felt to see our family of bookkeepers come together. We networked, shared stories, listened, learned, and then danced the night away. Attending on behalf of Xero as founding sponsor and exhibitor this year was awesome. On the Xero stand was Dan Holland, Bookkeeping Account Manager, and Jenny Cheng, WorkflowMax Specialist. We were also thrilled to have Xero New Zealand Managing Director, Craig Hudson, open the conference and Oliver Smith, Sales Director, spend the morning with us on the first day. Having Craig and Oliver meeting and speaking with our bookkeeping family showed how much value Xero places in our bookkeeping partners. It soon became apparent that #hugabookkeeper (thank you Lisa Martin) had morphed into #hugaxero. We had so much fun and even made a GIF of Dan Holland delivering a virtual hug. 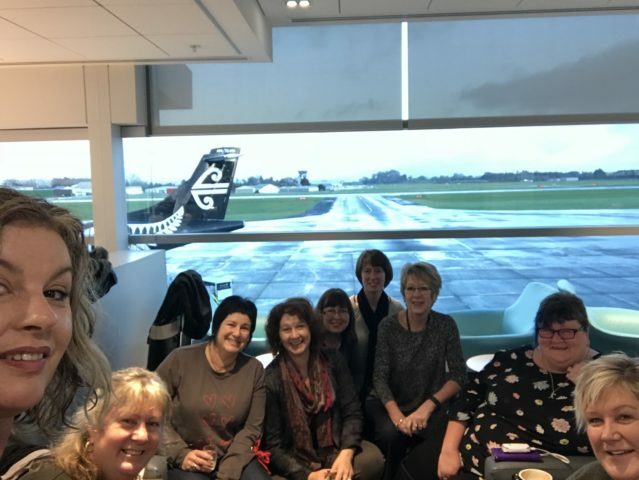 The early birds at the airport on Sunday morning – looking tired but still smiling. It was such a privilege to hear Inland Revenue Commissioner, Naomi Ferguson, speak around business transformation, what went well and the learnings moving forward. I remember Rod Drury speaking about Xero moving to AWS being comparative to changing an engine of a 747-400 in mid-flight. Naomi’s story sounded similar. Craig also took the opportunity to show Naomi Xero’s Small Business Insights on his mobile phone. Day one’s presentations delivered great knowledge on legislative matters with ACC and an informative session on anti money laundering (AML). It was great to see how far 2Shakes has come along with their AML features. The breakout sessions went down very well, Mary Moore from Businessmax nailed her presentation on growing your bookkeeping business as a sole trader. At our networking drinks on Friday night, courtesy of Thank You Payroll, I had the opportunity to check out PLUS Business by ASB. This is a very cool app that provides collaboration centred around Xero to serve up real-time metrics to small businesses. Day two was a heap of fun. The presentations were excellent and full of energy, starting out with Mel Power from The Revolutionary Firm dancing through the crowd with everyone on their feet, then sharing knowledge of how to build a one million dollar bookkeeping firm. Dan and I had a blast delivering our role playing session on adaptability. We were stoked that the audience enjoyed and laughed along with us and we were thrilled to hear feedback that people took learning points away from the session. The awards ceremony at dinner was excellent and fun, glad to hear that so many more people took the plunge and entered this year. Big congratulations to the #Bookkeepcon18 winners, all of whom are great Xero Partners. Congratulations to the organisers this year, it was a slick operation and a pleasure to attend as both an exhibitor and member. I heard people already discussing and planning #Bookkeepcon19! In the meantime, I’m so happy that we will be seeing many of our Bookkeeping family at Xerocon in a few weeks (it’s not too late to register). For others, our next connection will be at Roadshow 2018. 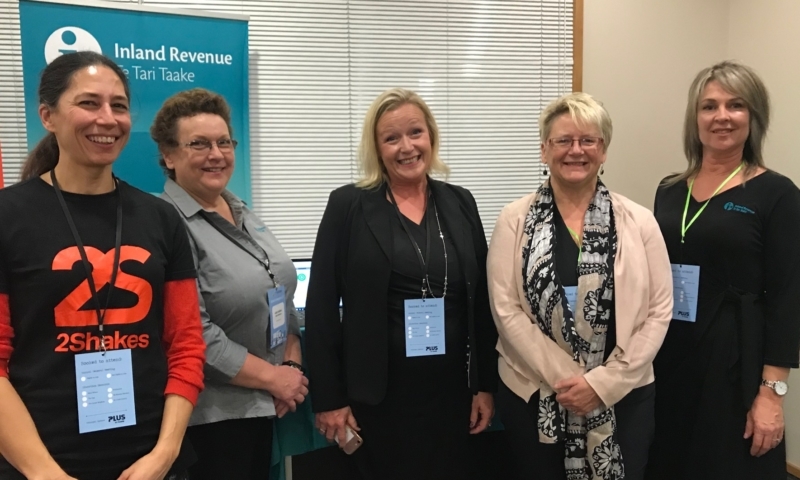 The post Reflections from #Bookkeepcon18 appeared first on Xero Blog.